Although there are separate Anglican and Roman Catholic shrines, the joint ecumenical services at each one were not extraordinary. 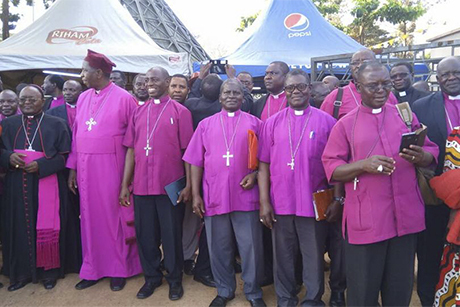 In 2015 Pope Francis visited the Anglican shrine with Archbishop Stanley during his visit to Uganda, and spoke of the “ecumenism of blood”. 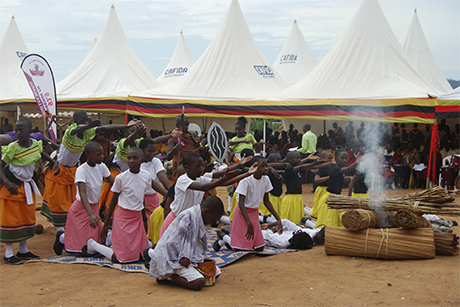 Pilgrims have already started to arrive at the shrines ahead of Sunday’s national commemorations. Many have been camping out. Security is tight and road closures are in place preventing vehicular access to everybody except VIPs. Pilgrims attending from the Democratic Republic of Congo are being screened for Ebola and an isolation ward has been established at a nearby hospital to treat any suspected cases.